The Empire's thin, minimal lines make it extremely adaptable. 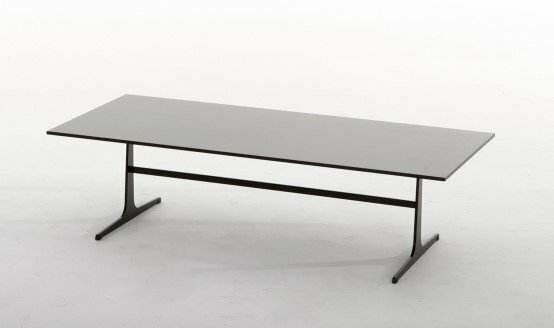 The metal structure is available in matt white, matt black, or stone bronze; while the top is available in matt white, matt black, canaletto walnut, natural oak, or dark oak. For pricing of options other than that listed here, please contact us.